The sense of adventure and discovery a driver can find as they travel the country on the open road, the wealth of benefits, and a flexible working schedule are just a few of the unique features of a truck driving career. Here at Lily Transportation, it’s our mission to supply you with all of that and more. Truck drivers are a vital part of the American economy. As more and more businesses move away from the brick and mortar stores of old, and online retailers continue to reign supreme, the logistics industry is feeling increased pressure of guaranteeing product deliveries are completed in a timely and accurate manner. The first step in your truck driving career is to obtain your commercial driver’s license (CDL). Your local DMV should have a CDL manual that will help get you started on studying for the series of written exams. Once you pass the written exams, you’ll usually be granted a Class A CDL permit—although that can differ depending on your state. Once you have your CDL permit, you’ll need to log a certain number of driving hours with a supervisor/driving school. Then, you can take the supervised skills test to demonstrate you have the abilities needed to safely operate a truck at the professional level. If you’re a military veteran, however, you might be able to bypass some of these steps. If your MOS was driving heavy equipment while in the service, you could qualify for a military skills test waiver program, which lets you earn your CDL by simply taking a written test and skipping the skills portion entirely. Lily Transportation even has a one-of-a-kind program for veterans who have truck driving experience. Once a veteran has their CDL, they can enroll in Lily’s Veterans Network, which offers a unique training curriculum that is fully paid for by Lily and won’t deplete your GI Bill. When you drive for Lily Transportation, you become part of a larger family of passionate and devoted professionals. 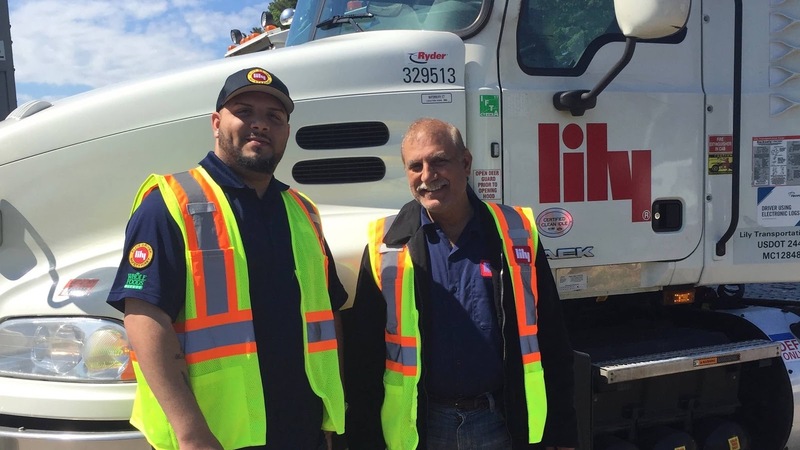 Whether you’re ready to dive into an exciting new truck driving career or you’re just looking for more information, everyone on our team here at Lily Transportation is ready to help. We’re always looking for passionate, experienced, and safe drivers to become a part of our coast-to-coast operations. We’d love to talk to you about our excellent benefits, competitive pay, and various training programs. If you’re interested in learning more, please visit the Careers Page on our website, or feel free to give us a call at 800-248-5459. We can’t wait to hear from you!